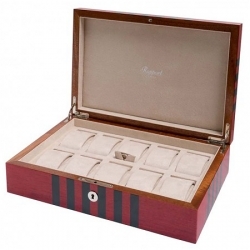 If you expect fine quality and craftsmanship, pay attention to our 10 watch storage box L444 by Rapport London. 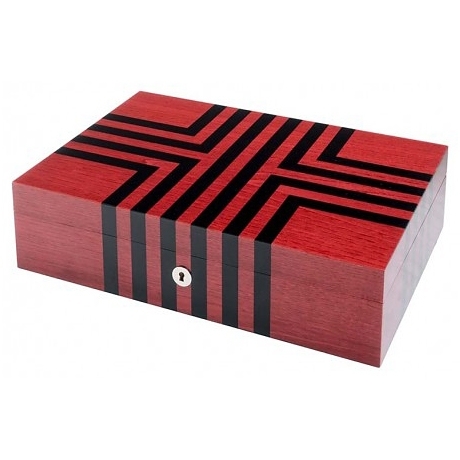 It's artfully made of solid wood with rich red stained finish. 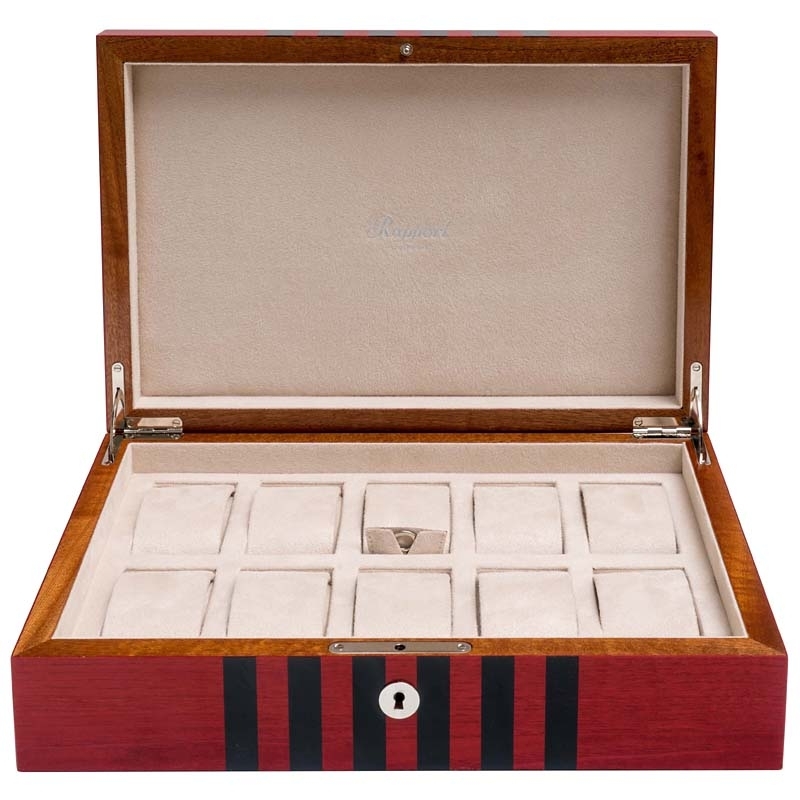 Layers of hand applied lacquer add this collector box unique brilliance. 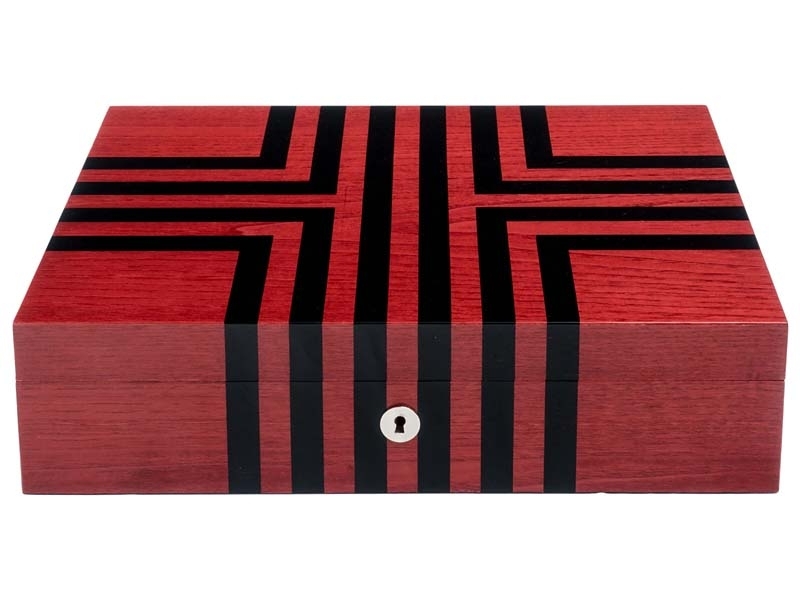 Black "labyrinth" design completes a luxurious look. Ten individual sections has removable pillow-cushions which securely hold the watches. The interior is lined in chic beige suede. 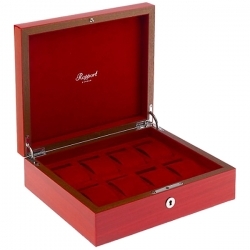 The storage box has width of 360 mm, depth of 240 mm and height of 100 mm. This Rapport watch case is key lockable.